Looking For Golf Cart Dealers? Advantage Golf Cars provides superior customer service and has an entire team that consists of professional sales members, finance experts, service technicians and a knowledgeable parts and accessories staff to support you, our valued customer. We pride ourselves on having well-trained experts that strive for customer satisfaction. Come in and visit our friendly, reliable and experienced staff. 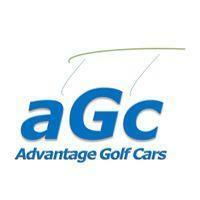 Advantage Golf Cars offers the newest models including Bad Boy, Club Car, Cushman, E-Z-Go, and Yamaha Golf-Car. Our location is complete with service, parts, and sales departments.